A young family bid farewell at the end of a summer break - and for Kate and Gerry McCann it can only be a deeply emotional ordeal. 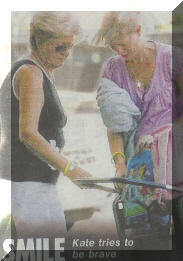 For the parents of missing Maddie simply taking the decision to go on holiday was almost too hard to bear. It was the couple's first proper getaway with their three-year-old twins since that fateful trip to Portugal 14 months ago. Not for them the excitement and anticipation of other holidaymakers. Not for them the promise of time free from the stresses of workaday life. For Kate and Gerry their threeweek trip to Canada could hardly be anything but a painful reminder of what happened in Praia da Luz in May last year. And Maddie did not leave their minds for a moment. Yet the courageous couple knew it had to be done. For their own sake, and their twins, they knew they needed to take that painful step and go abroad without Madeleine. As our deeply moving pictures show, hugs and tears marked the poignant goodbye to friends and expat family members at Vancouver airport as the holiday ended. Doctors Kate and Gerry, anxious to keep everything as normal as possible, watched son Sean in his favourite Harry Dinosaur PJs as he pulled a Noddy case towards check-in. Blonde Amelie - the image of Maddie, who is now the same age as her sister when she vanished - revelled in loving hugs from Gerry while the family prepared for the nine-hour flight home last Thursday. Kate, dressed in pink top and cargo trousers, managed a small smile as the struggled with luggage. But the strain was never far from the surface. The couple, both 40, had stayed with Kate's aunt, Norah Paul - who explained how the holiday meant one agonising hurdle was now behind them. 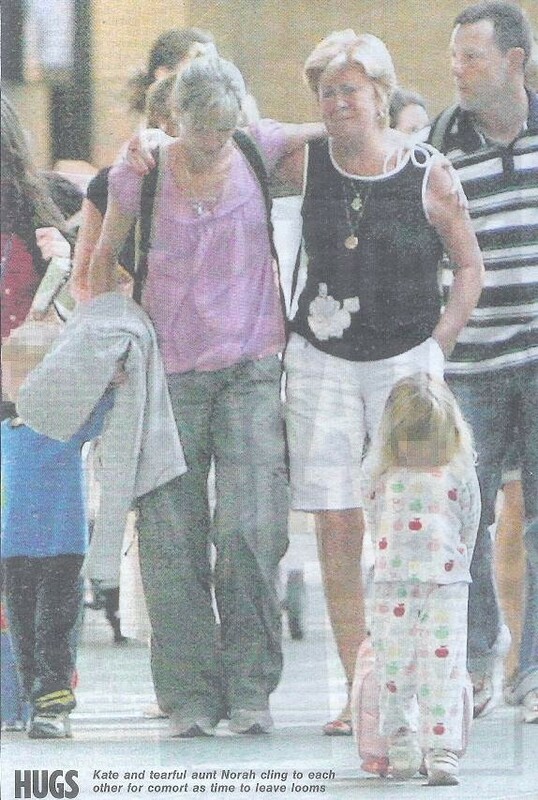 Norah, sister of Kate's dad, said after waving off the McCanns: "They had a lovely time, very relaxing. It was all about them getting away. "They really enjoyed being away from the spotlight. We spent a lot of time at the beach. The beaches here are beautiful." 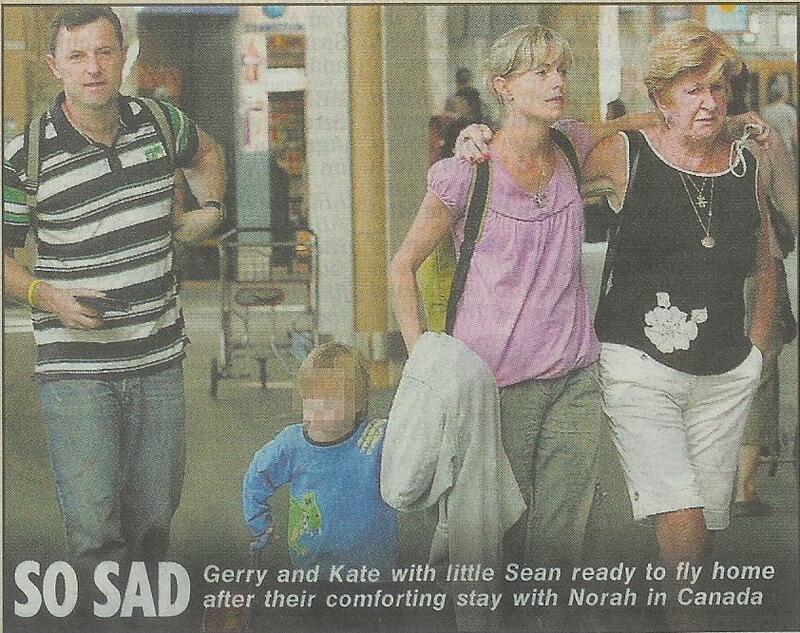 Norah's daughter and neighbours who got to know Kate and Gerry during their stay were also at the airport. It was Norah, who emigrated to Canada several years ago, who had a key role in persuading the McCanns to take their first holiday since Madeleine vanished. Norah - originally from Liverpool, like Kate - spoke up in support of the couple after they were named as official suspects by Portuguese police. During their stay in Canada the family are also believed to have met up with vicar's wife Susan Haynes-Hubbard. 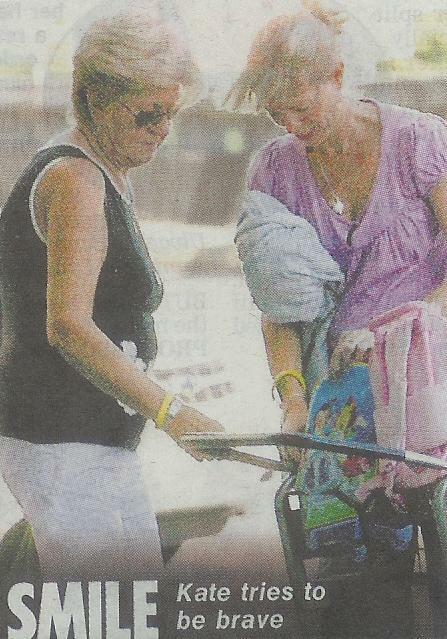 Her husband is minister at the church in Praia da Luz where the McCanns prayed each day. Canadian Susan became a tower of strength to Gerry and Kate in the days after Madeleine went missing from the family's holiday apartment. Another factor in the McCanns' choice of holiday destination was the sheer vastness of the country around Vancouver - which promised them much-needed peace and quiet. Vancouver is the capital of British Columbia - four times the size of the UK and marked by dense forests, miles of rugged Pacific coastline and views of the snow-capped Rockies. It is thought Vancouver's Kitsilano beach became one of the family's favourites. A close friend said yesterday: "They had more time to think about Madeleine than ever and it was incredibly painful at times. "They knew the holiday would be sad and poignant as well as incredibly healing. "The family spent much of their break on the beach and the twins had a brilliant time. "Sean and Amelie have their big sister's love of swimming and enjoyed many sessions in the warm Pacific waters. "It was very difficult at times for Kate and Gerry to be splashing around with the twins and there being no Maddie there to join in the fun with them." After their return home to Rothley, Leics, on Friday, Gerry highlighted the pain the family felt at going away without their elder daughter. He said on his internet diary: "We have managed to have a break visiting family. "Sean and Amelie have had a brilliant time and it has been great for me to spend so much time with them." But cardiologist Gerry - on his first holiday since returning to work full-time at Leicester's Glenfield Hospital - added: "Although this has been a relaxing break, it has been incredibly difficult for Kate and me to have been on holiday without Madeleine. It is all too apparent what is missing." 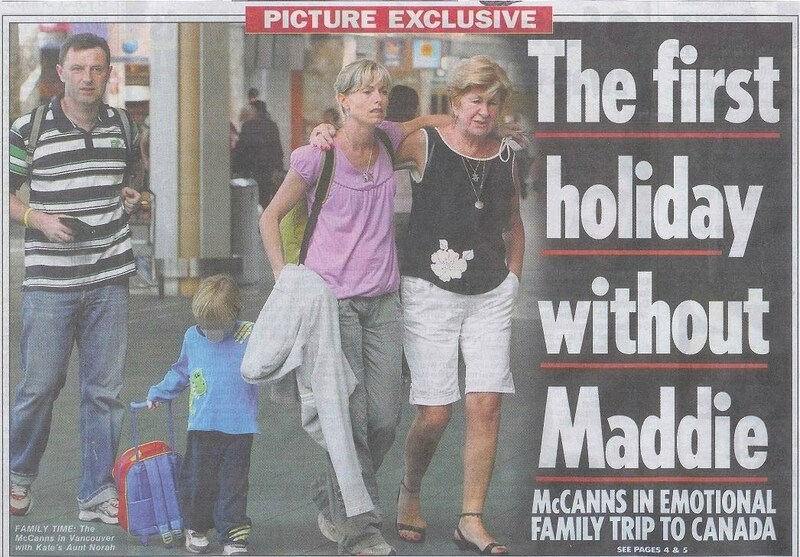 The McCanns' spokesman Clarence Mitchell said yesterday: "It was just not the same without Madeleine. They missed her so much. They had as reasonable a break as possible under the circumstances. "But they could never switch off and get away from it completely. "Everyone needs a holiday, Kate and Gerry included. They have always felt they didn't want a holiday while Madeleine is still missing. "But they felt it was the right time and chose to have a break as much for the twins as themselves." While away the family were kept in touch about any developments in the hunt for their daughter. Mr Mitchell said: "Kate and Gerry were trying to have a relaxing time and I didn't want to keep bothering them but I did text them a few times to give updates. "They obviously wanted to be kept informed of what was happening." 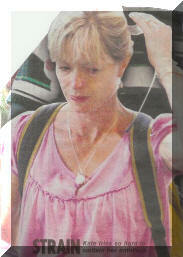 Even Canada could not give the McCanns total escape from the drama and distress of the Maddie case. Just days after the couple jetted out they were told Portuguese police had closed the investigation. But it then emerged the cops have until the end of July to decide on the move. 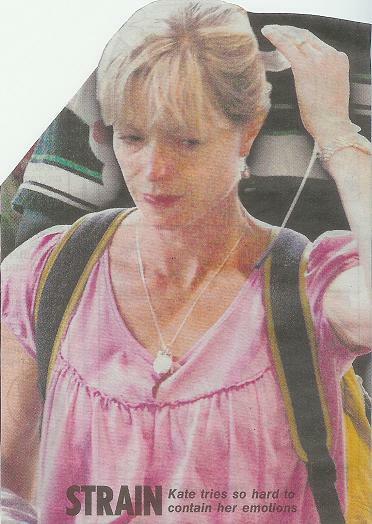 The McCanns' spokesman Clarence Mitchell vowed: "The search for Madeleine will go on with or without the police's assistance." Then last Monday Leicestershire police agreed to hand the couple evidence collected in their inquiries. The information could help private investigators hired by the McCanns. The couple also won the backing of MEPs in their call for a Europe-wide child abduction alert system. It means much greater co-operation between countries when a youngster is reported missing.A source said: "It was a great end to the holiday to hear that their campaigning had paid off."